This is a recreation of the real life PostNL trailers in the Netherlands, are there any problems let me know. This mod can only be downloaded from Sharemods.com. If you got it somewhere else, then its copied without my permission. very nice work. 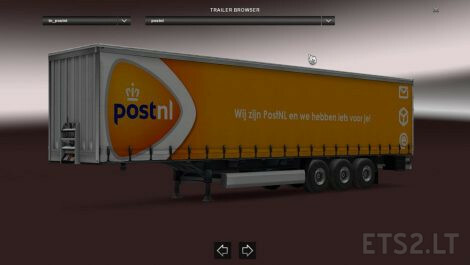 could you make a postNL SKIN FOR THE DEF TRUCK. 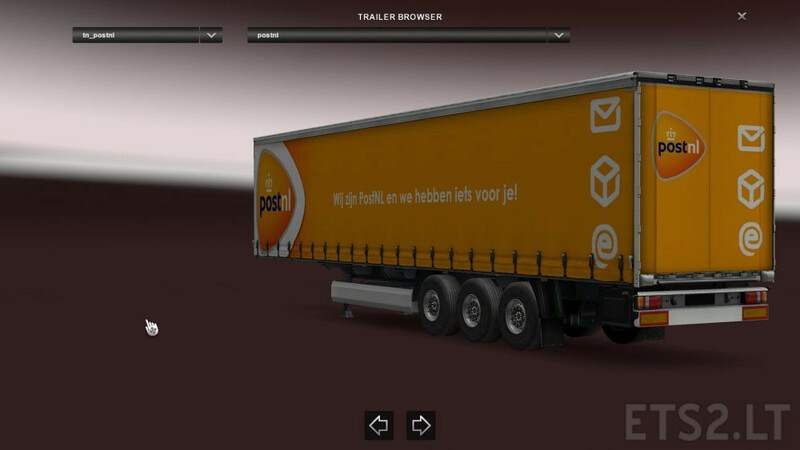 I already have plans to make skins for all the trucks in eurotruck, but that takes soms time. You can see when its out on my YouTube channel, i ll make a video just like the trailer.